Pacific Cost Segregation is dedicated to delivering fully supportable studies performed by experienced tax professionals who are familiar with the relevant case law and rulings. Our team combines the talents of professionals with engineering valuation experience, CPA and tax experience, industry knowledge, and accounting skills. This forms the perfect blend of tax professionals necessary to maximize the benefits of an engineering based cost segregation study. At Pacific Cost Segregation, we combine over 35 years of expertise in the cost segregation practice, with “Big 4” accounting and valuation experience. Glenn Beitl is a Principal and co-founder of Pacific Cost Segregation (PCS), and has been actively involved in the cost segregation business since 1985. He has conducted numerous cost segregation studies on a wide variety of nationally recognized clients including Fortune 500 companies. He has performed projects in various industries ranging in size from small tenant improvements to over $1 billion in construction costs. Mr. Beitl’s vast expertise in construction cost engineering and knowledge of applicable tax law has resulted in substantial tax depreciation benefits for his clients. Mr. Beitl’s prior experience includes serving as the West Region Director of Cost Segregation with The Schonbraun McCann Group (a subsidiary of FTI Consulting), and Director of Navigant Consulting, Inc.’s Cost Segregation Fixed Assets practice in Los Angeles. Previously he held a leadership position within PricewaterhouseCoopers’ Fixed Assets Solutions Team where he served for six years on the firm’s National Cost Segregation Leadership Committee. Mr. Beitl also co-instructed the “Income Tax Strategies for Fixed Assets and Cost Segregation Studies” seminar at the yearly Tax Leadership Conference. While at Arthur Consulting Group, Mr. Beitl managed a wide range of cost segregation projects and was also instrumental in the design of their proprietary cost segregation software. Mr. Beitl holds a B.S. in Industrial Engineering, Construction Management from California State University of Long Beach and is a Senior Member of the American Society of Cost Segregation Professionals (ASCSP). Mr. Beitl held affiliate memberships with the International Conference of Building Officials, and the Associated General Contractors. Phillip Son is a Partner and co-founder of Pacific Cost Segregation (PCS) and has over 8 years of experience in the taxation and accounting fields. He specializes in commercial fixed asset management with an emphasis in cost segregation for acquired and self-constructed assets. Mr. Son’s previous experience includes serving as Regional Manager of Cost Segregation at The Schonbraun McCann Group (a subsidiary of FTI Consulting), and Manager at Navigant Consulting, Inc.’s Los Angeles based Cost Segregation practice. While at PricewaterhouseCoopers LLP, he was a tax professional specializing in the Cost Segregation and Property Tax fields. Mr. Son has instructed Cost Segregation training seminars and authored articles on the benefits of a cost segregation study. 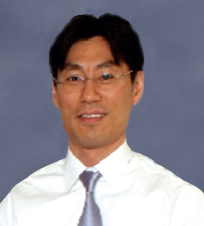 He has provided tax savings advice which has benefited his clients and has been featured in publications such as the Korean American Society of CPAs. Mr. Son’s Cost Segregation experience is in various industries including; retail and retail developers, restaurant, hotel and hospitality, gaming, food products manufacturing, sports venues, financial institutions, commercial office and tenant leaseholds, Real Estate Investment Trusts (R.E.I.T. ), and the pharmaceutical / Biotech industries. Mr. Son holds a B.A. in Economics and Operations Research from Columbia University, a M.S. in Taxation from Golden Gate University and is a Certified Public Accountant in California. 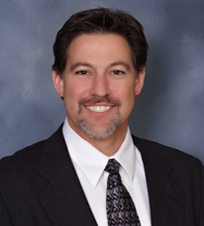 He is a senior member of the American Society of Cost Segregation Professionals, and a member of AICPA and CalCPA.